Our guest blog author is well known media vet Emma Milne. 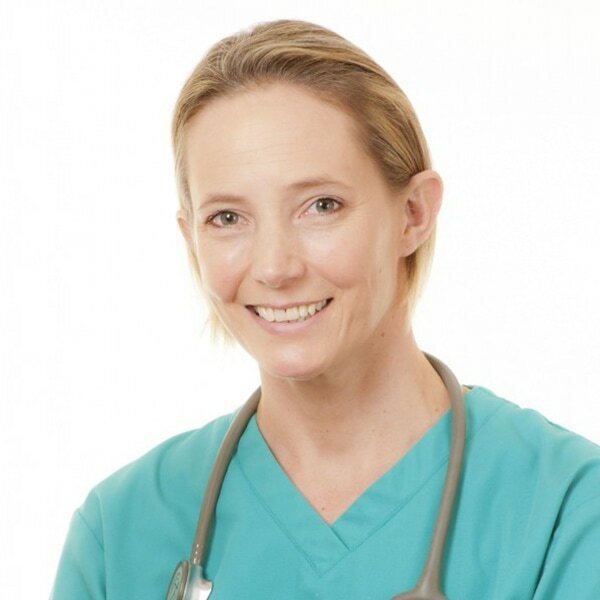 Emma has shared her career with the public in the TV show Vets in Practice and written many books on life as a vet as well as lots of great guides on choosing the right pet for your family. She loves all aspects of small animal practice and is passionate about helping owners to look after health and welfare needs of their beloved pets. We vets are used to a wide array of pretty grim sights, sounds and, above all, smells. Every vet will have a thing that they find hardest to stomach. My parents have been subjected to graphic and detailed dinner-time conversations through the years so I won’t put you through the same! One of the most common smelly complaints we hear from owners is bad breath in their pets. We all love a snuggle with our animal companions but when you are overwhelmed by the stench it can really affect a beautiful friendship. During my time in practice I’ve had owners describe their pet’s breath as smelling like a vast array of things from off milk, poo or wee to things like rotten fish. None of which are going to enhance that first-thing-in-the-morning kiss! There are weird and wonderful things like foreign objects lodged in teeth that can cause a sudden case of bad breath but most often it is dirty teeth and the early (or occasionally more advanced!) stages of dental problems like tartar and infected gums. It’s true to say that dental disease is a big problem for our pets and because they are masters of hiding the signs it’s up to us as owners to be on the look out. As with all things in life prevention is much better than cure. Here are five top tips to get you started. Those of you with children will know the importance of getting them used to tooth brushing almost before they even have teeth. It’s exactly the same with dogs and cats. The younger you can start the easier it will be to get them used to the routine and the better your prevention will be. Exactly the same as for humans brushing is the most effective way to prevent plaque and tartar from building up. It may seem daunting but the majority of animals will learn to accept it and many even like it. Owners know their pets better than anyone and the more observant you are the sooner you will know when something is wrong. The main signs of dental problems to watch out for are brown teeth, red gums, bad breath, going to the bowl but then not eating, pawing at the mouth and drooling. If you can spot things before the latter signs all the better. Some breeds of dog and cat are more likely to have teeth problems than others. Short-faced breeds like pugs, bulldogs and Persians have crowded mouths, toy breeds like Yorkies and poodles also tend to have problems and some breeds of cat like the Siamese are prone to inflamed gums and other problems. Find out if your breed of pet is likely to have early problems. Although brushing is the top way to keep a healthy mouth there are other things that help. Enzyme gels can help the body’s natural defences, chews and toys that are a special shape can help rub the teeth and there are special kibbles available that can also help reduce plaque. Your vet or vet nursing team will be happy to advise you. Life is busy for all of us and trying to find time to brush our own teeth sometimes seems too much so you may feel like brushing your pets’ teeth is too daunting. Don’t panic. You only need to do a minute a day, just thirty seconds each side. Of course you can do more when you have time and if your pet is happy. Ask your vet or vet nurse to give you a demo if you need to. Start by just getting your pet used to the sight and smell of the brush and toothpaste. A good tip when you start is that the front teeth are usually more sensitive than the the back ones so start at the back and work your way forward. Remember not to use human toothpaste; it’s designed to froth up and also be spat out, which animals don’t do! If you make the brushing part of your and your pets’ daily routine it will soon be easy. Treating dental disease, tartar, plaque, infections and rotting roots can be very expensive and, unlike humans, all animals need a general anaesthetic to have any dental work done. With this in mind you can see that if you can find the time to brush you could save yourself a lot of money but also save your pet a lot of discomfort and lost teeth. Even if you have a pet who won’t let you brush, get used to looking at their teeth and gums and then you and your vet can intervene as soon as something seems amiss. And of course, if you’re ever in doubt, ask your vet. That’s why we’re here.